One of the factors that can hinder people from achieving their ultimate greatness is fear. Instead of feeding the mind and soul with FAITH and believing that we can achieve our dreams, we at times let fear take a hold of our journey in life. When fear is released and we believe that we have the power to make dreams turn into reality, something great happens. This could be breaking out of shyness, pursuing career goals, doing something out of your comfort zone, etc. Fear is the factor that can keep people oppressed. It puts a shield over the possibilities of greatness that can prosper in ones life. It makes someone’s dreams not come true. It pushes one to think they are not capable. It is the ultimate dream snatcher. When fear is eliminated from our thought process, it allows us to live beyond our dreams. We have the ability to walk by FAITH and be confident that we will make it. We will achieve our goals. We are empowered. We sing a song that’s so vibrant that the world sings it with us. WE are ALL THAT! 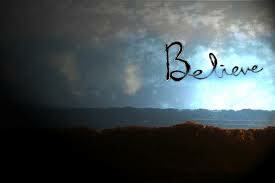 It’s the dose of belief and faith which will be the tool that helps you achieve your dreams. Believe in yourself when no one else will and know you are ALL THAT and more! Posted on August 25, 2012, in Empowerment, Jazzed Inspirations, Reflections, Uncategorized and tagged adventures of all that jazz, Dreams, empowerment, Jazzed Inspirations, Motivation, spirituality. Bookmark the permalink. Leave a comment.